To prepare the watermelon slice off the ends. 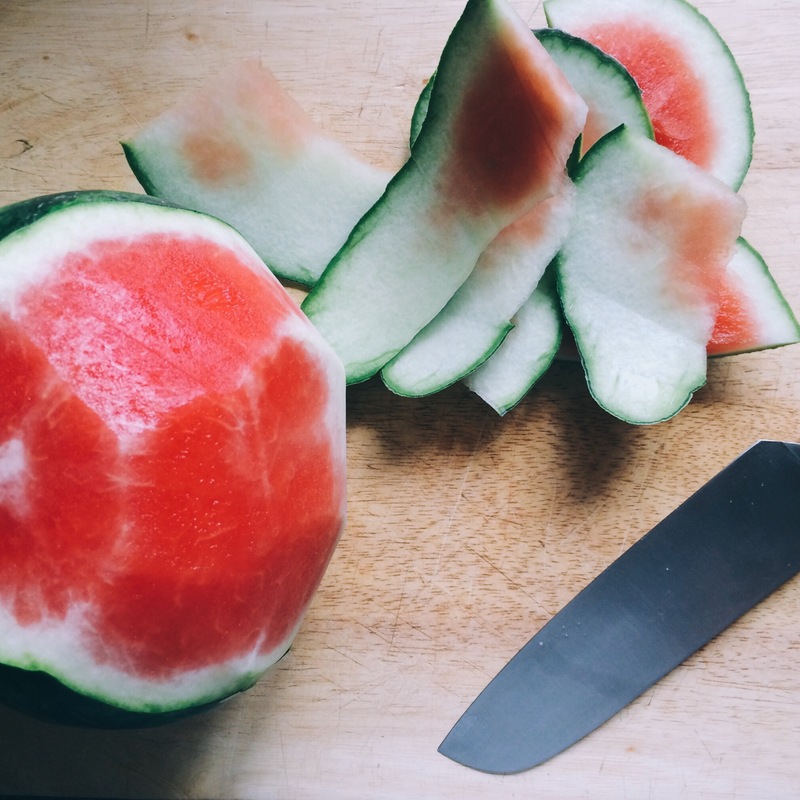 Rest on a flat end then slice off the skin in strips, turning the melon as you go. Cut vertically into slices, break them along the seed lines and remove the seeds. Roughly chop the melon, put it into a blender or food processor with the vodka and whizz until smooth. Strain into a deep tray then freeze for an hour. 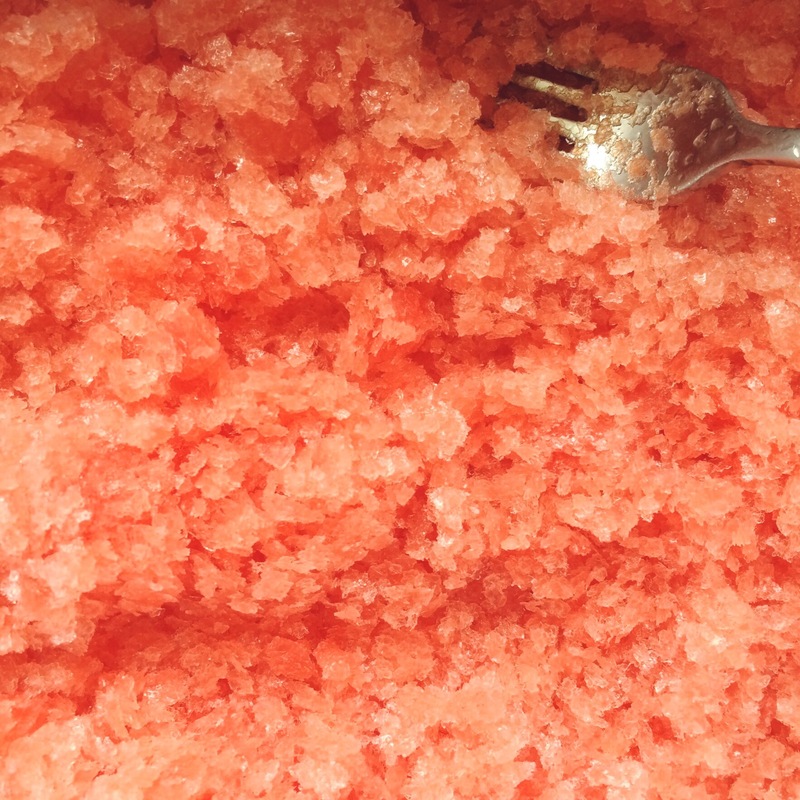 Drag a fork through the granita to break up the ice crystals, then freeze for 45 minutes more. Drag the fork through again. Repeat for another 45 minutes or so until the ice has a rough, grainy texture. Meanwhile dissolve the sugar in 80ml water in a pan on a low heat, stirring occasionally, until clear. 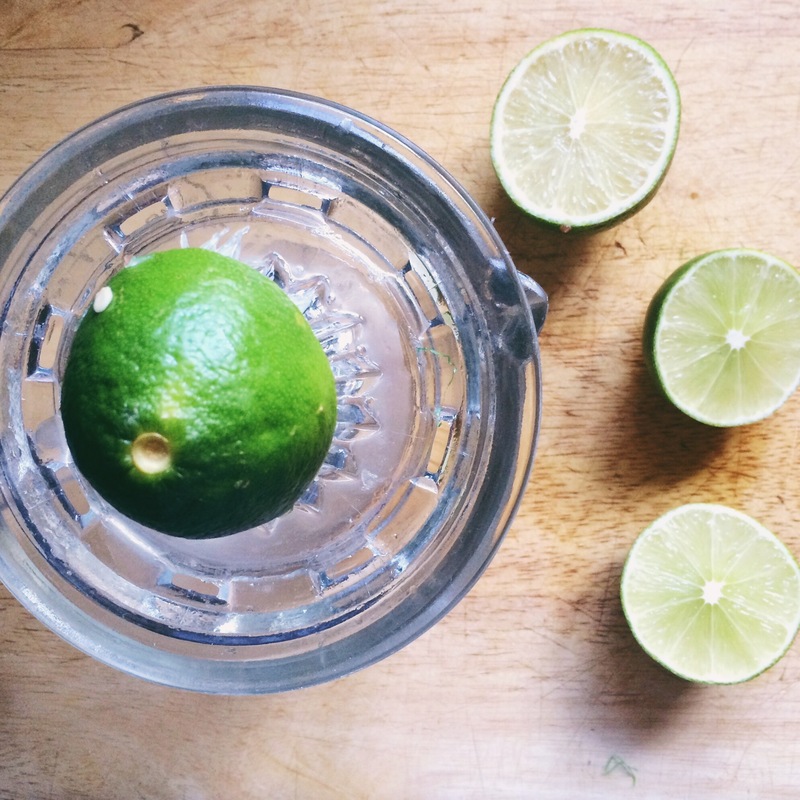 Boil the syrup briskly, adding the zest and juice of the limes and grated ginger. Cook for about 5 minutes until just syrupy, then cool but don’t put in the fridge. 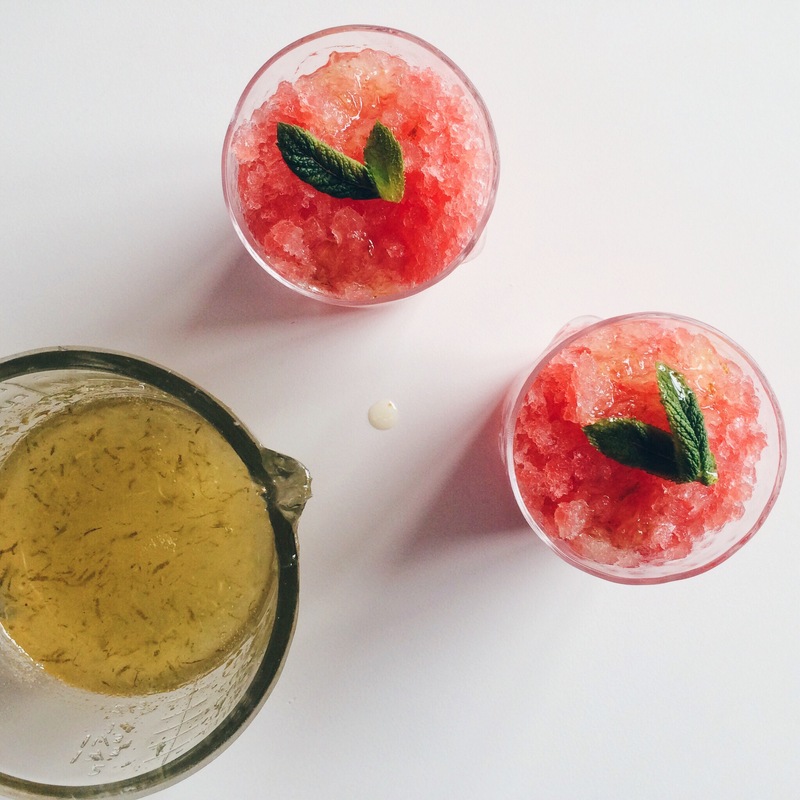 To serve, scoop the granita into glasses, drizzle over the syrup and scatter with the chopped mint. Enjoy!